The world we live in and the entire universe for that matter is governed by laws. The law of attraction is one of those universal laws that can deeply impact your life depending on how effectively you use it. Indeed, you have the power to design your own destiny and live your greatest life ever. Understanding and mastering this fundamental law will ultimately attract into your life all that you desire. 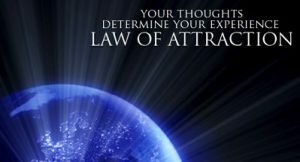 This article will attempt to show how you can use the law of attraction to attract positive situations, people, and experiences into your life. You are already experiencing the law of attraction in your life. For example when you get a phone call from someone you’ve been thinking about or you suddenly start seeing everywhere the same red car you intend to buy. These are just two evidences of the Law of attraction in action. Put simply the law of attraction states that thought and projected energy attract similar energy. In other words, thoughts that are emotionalized become magnetized and attract similar forces. The two important words to remember here are thoughts and emotions. If you give your attention, energy and focus to something (whether positive or negative), you will attract it to your life. Each of us continually sends out either positive or negative vibrations. This is based on our mood, feelings, and emotions. A negative vibration would be anger, sadness for instance while joy and excitement would be classified as positive vibrations. Your thoughts create your reality. If you experience negative feelings, you send out negative energy therefore attracting negative events and people into your life. On the other hand if you experience positive thoughts, you emit positive energy. As a result only positive events and people will be attracted into your life. The law of attraction responds to the vibration you are offering at any particular point in time. It will give you more of whatever you are thinking about being it positive or negative. It will be in your best interest to learn to identify what kind of vibration you send out and focus on deliberately sending out the positive ones. Remember that the law of attraction simply responds to your vibration. What you focus on expands. Let me further illustrate the law of attraction in action. Have you noticed that most of us will buy more expensive gifts for our wealthier friends? This is proven by statistics and surveys and it’s surprising seeing as you’d think we’d want to buy more expensive items for the people who couldn’t afford them on their own. But the reality is that wealthier people have more things and have a more expensive quality of item on display. To get them something they’ll like and to get them something that will fit in, we need to spend more on them. That and they probably spend more on us than our poorer friends, so we feel obliged to reciprocate. This is an incredibly simple example of the law of attraction working. When you have more nice things, you actually attract even more nice things to you. The same happens with money – you have to spend to accumulate and simply having more money means you’ll make more investment. You now know that we are always sending out vibrations either positives or negatives. Thus if you want to live your greatest life, you must begin to stop negative thoughts and emit positive energy- at all times. You will master the law of attraction if you shift your thoughts, language and emotions. It’s important to shift your language as some words are causing you to attract what you actually don’t want. These words include don’t, not and no. Indeed, these are used in common expressions that give more attention to what you don’t want thus the law of attraction will give you more of that. For instance when I say don’t think of a pink elephant. You will automatically picture a pink elephant in your mind. Whenever you are about using some of the following common expressions, simply ask yourself what you really want. Such expressions are “don’t hesitate to call me”, “don’t forget”, “don’t be late” etc… Instead you want to say “call me soon”, “remember to…”, “see you on time”. The challenge becomes now how to use the law of attraction deliberately. This step sounds easy enough but you would be surprised by the number of people who don’t know what they really want. As a result they keep on attracting negativity in their lives and feel trapped. In order for the law of attraction to work for you, you need to identify clearly what you want. I am talking about what you really want and not a mere wish. Become clear on your vision. Create a list of what you want. Post it on your mirror, on your fridge and carry it around with you. It will be a constant reminder of what you need to focus on. Remember that what you focus on, manifests in your life. Giving attention to your desire, increases vibration. You give more positive energy and focus to your goals. The law of attraction brings more of whatever you give your attention to. If you know what you really want and do not focus on it then there won’t be any manifestation. One of the techniques you can use in this step is creating a desire statement or affirmation. It’s about using the right words to give attention and focus to your desires. The key to affirmations though is that they need to be true for you in order to make you feel good. Remember that the whole idea is to send positive vibrations or feelings. The law of attraction responds to how you feel about what you say and how you feel about what you think. I’m in the process of…. The final step in this deliberate attraction formula is allowing your desires to manifest. Indeed, you have successfully identified what you want and give it your attention, now it the time to allow it to flow in your life. In my opinion this is the most important step in the process. If you get it wrong, you will assume that the formula does not work. You will often hear people saying that they have had desires in the past, they were pretty excited about those wants but nothing ever happened. You need to remove any doubt about attaining your desires and this is what this final step is about. Removing any negative vibrations. Doubt is a negative vibe. How do you know when you are allowing your desire to manifest freely? Most of the time you will hear yourself saying “now this feels possible” or some sort. There are several tools out there you could use for this step. One that seems to work well is expressing appreciation and gratitude. Appreciation and gratitude help you send out strong positive vibrations. You vibrate pure joy. It’s the feeling that is attached to your appreciation that is important. Simply remember that it’s the absence of doubt that will bring your desire faster. The law of attraction works with what you believe about yourself and how you act. If you believe you’re highly capable at your job, if you genuinely aren’t stressed by things going wrong and if you act accordingly; then you’ll quickly find yourself rising through the ranks and getting to the top. When you have belief in yourself, so do other people. One reason for this is that confident people tend to look more confident thanks to the way they dress and act. If you are very confident you might walk with a straight back and chest puffed out and you’ll probably buy nicer clothes and spend more time on your hair. Simply doing this will make you look like someone who is more important and who is more successful. Now other people will assume you are more important and more successful and unconsciously your bosses will be more inclined to want to give you more responsibility. They’ll also feel more confident sending you out to meet clients, while your colleagues might start turning to you for advice – because you look like you know what you’re doing. It doesn’t take long until doing all these things will make you the ideal candidate for that raise or promotion and then you become more successful. It’s possible to use the law of attraction to manifest the perfect spouse and kill it on your date. It’s hard to find a dating program that gives you advice beyond “be yourself.” While this is important, simply being yourself isn’t always enough. You need to take action if you want to attract someone into your life. Part of taking this action is putting the right energy into the universe so it can provide for you. This is where the Law of attraction comes to the rescue. 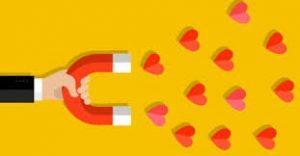 In this section, we are going to look at how YOU can use the Law of Attraction to attract the significant other that you’ve always wished for. I’m not talking about settling here and I’m not talking about attracting just anybody. I am talking about attracting the person that you were meant to be with. While it’s okay to want these things from your spouse, that’s not enough to narrow down the right person for you. There are a lot of people that fit those traits that you won’t find yourself attracted to and it may frustrate you. Or, you may go for them thinking that you’ll be happy, then find that you have nothing really in common. If you’ve ever done any work with the Law of Attraction, you’ve probably heard of a vision board. A vision board is something that you can display in a prominent place that centralizes all that you want to attract in a cohesive way. A proper vision board will show a vision of what you want from life to help you harness the Law of Attraction to manifest it. For this particular vision board, you are going to have to think outside the box. It isn’t as simple as something like wealth where you can post pictures of all of the things that you can buy. You have to find representations of the things you want from a significant other. As I mentioned earlier, most people have a short list in their heads of the things they want from a significant other. This list is generally very generic, without many specifics that could separate the right person from the wrong one. If you truly want to manifest the right person in your life, you have to be more specific about the things you want from a person. Once you have a clear understanding of what you want from a significant other, it’s time to look at the opposite side…what you DON’T want. This is just as important as figuring out what you want. After all, you may find someone with a lot of the traits of someone you want, but they may end up annoying the crap out of you because you didn’t consider things you don’t want from a significant other. Try and be as specific as possible with this as well. People have a tendency to allow into their life what they put out. What I mean by this is that people will often feel, even subconsciously, that they deserve the type of person that they let themselves become. If you feel like you aren’t putting in the work and that you aren’t the kind of person that you would date, it’s unlikely that you will attract the right person. Even if you know the kind of person that you want in your life, you are putting out into the universe the thought that you aren’t worthy. To fix this, start acting like the kind of person that you want to attract and, in kind, the kind of person that you feel people should be attracted to. We’ve all seen amazing people date crappy people. Don’t be one of those people. It’s no secret that kindness is one of the most sought after traits in a partner. No one consciously wants to be with someone who is mean and rude. Think about this when you think about the kind of person that you want to date. Do you really want to date someone who would date a person that is always mean, condescending and hateful towards others? In order to be this better person, you may need to start doing better things. In order to attract the best person possible, you want to make sure that you are healthy and fit. This isn’t just for physical appearances, which are important, but also for emotional health and your overall well being. Think of yourself as an airplane. If any part of the plane doesn’t work properly, it could have problems with taking off, flying or landing. One small issue can keep you from flying. Don’t let any aspect of yourself keep you grounded, especially your health. Take care of yourself so others can see you as a responsible adult instead of someone who is too lazy or doesn’t care enough to keep themselves healthy. What’s the best way to find a significant other? Well, to surround yourself with other single people of course! Yes, you may find someone on the rebound, but more often than not a healthy relationship comes from two single people finding each other. Luckily, single people will often hang out in singles bars, singles events and with other single friends. We all have hobbies. If you don’t, then you should. Otherwise, what are you living for? To work, pay taxes and die? Whatever your hobby is, I bet there are events catered towards that hobby. If you are into comic books, there are comic book conventions. If you are into volleyball, there may be a local league you can join. No matter what you are into, the odds are high that there are other people into that as well. Finding the events for these hobbies will help you to make like minded friends, as well as mingle with single, like minded people. I understand that just because you have the same hobby it doesn’t mean that you’re a perfect match, but people are usually attracted to specific hobbies for certain reasons. If you are a film buff, you will find that other film buffs process information in a similar way to you and look deeper into movies than other people may. When people ask you to do things, what do you usually say? Do you make excuses? Do you simply tell them that you don’t want to go out and do things? If you are constantly saying “No,” to life, how do you think you will find the things that you want? You need to start saying, “Yes,” to what life has to offer and, not surprisingly, the doors will open up for you. Life isn’t a passive experience. You shouldn’t be along for the ride. You should be taking action and you should always be putting yourself into new situations. The only way for things to change is for you to change things. The universe will provide, but you have to recognize its help. You have to be on alert. You have to pay attention to the signs. Most of all, when the time comes, you need to be willing to make the leap. Nothing good comes easy. No one is going to walk up to you and tell you that they are your soul mate. That’s not how the universe works. Instead, the universe will put the right things in your path and you will choose to either accept these gifts or ignore them. That’s right—it’s on you. The universe can only do so much. In the end, you have to take control of your own destiny. I’ve seen so many people fail because they simply can’t grasp this concept. It isn’t only true for matters of love, but also matters of business, health and so much more. They see the opportunity and they get scared or they get so caught up in the B.S. that they miss the opportunity when it comes around.